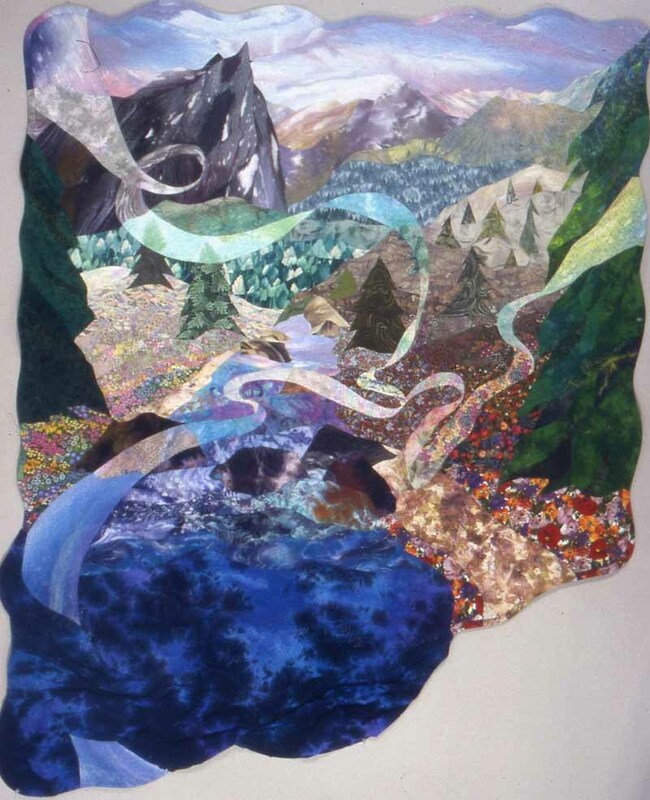 This quilt depicts the vastness and serenity of the Rocky Mountains. During a family hike, we stopped to rest at a beautiful spot on the trail. Enamored with my surroundings, I was reluctant to leave. Even though many years have passed, I still feel as if part of my spirit (the ribbon transparency) lovingly remains there. 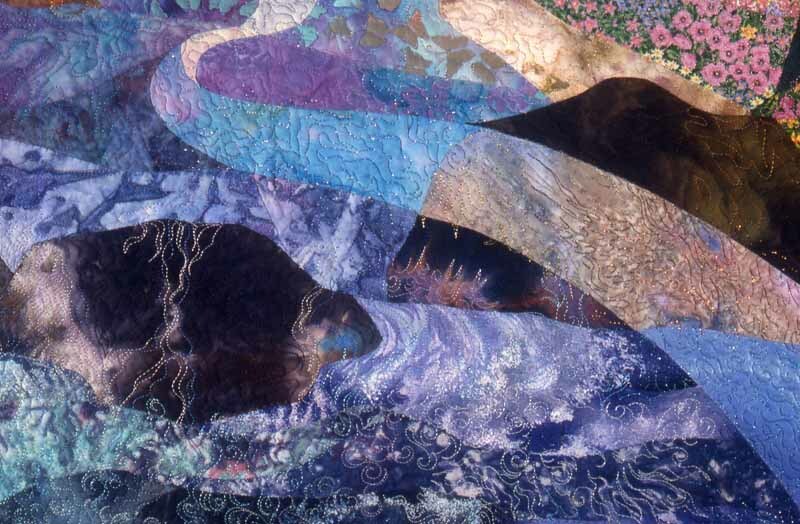 She is joyful and in total harmony with the mountain, water and earth.